Elliott CCH, Mtobesya BN, Cheke RA. 2014. Alternative approaches to Red-billed Quelea management: mass-capture for food. Ostrich 85(1): 31-37. Abstract. Organophosphate pesticide spraying or the deployment of explosives as standard practices for controlling quelea breeding colonies or roosts that threaten small-grain crops in Africa have negative side-effects on non-target birds and on the environment. Mass-capture techniques were tested as an environmentally more friendly alternative. 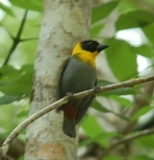 The birds caught could be used as food for local people. Traditional capture methods were also evaluated with a view to improving them. Large funnel traps, with and without bright lights, gave poor results because the behaviour of quelea and the thorny habitat made it difficult to drive the birds into the trap after dark. Locally made mist-nets functioned well. They allowed thousands of quelea to be caught. After a few days, parts of colonies where trapping had taken place were abandoned, and farmers reported a considerable reduction in the numbers of quelea raiding their fields. The proportion of non-target birds caught in the nets was very low and many were released unharmed. Catches were monitored by officials to ensure that only quelea were taken. With further refinement and the establishment of proper regulation, the use of mist-nets to control quelea colonies or roosts seems likely to be a viable alternative to aerial spraying of pesticides. 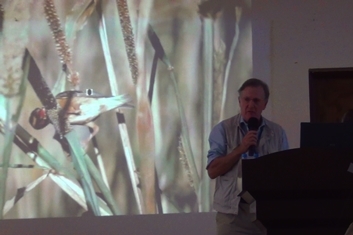 This paper was first presented as an oral at the 13th Pan-African Ornithological Congress, Arusha, Tanzania, 14-21 October 2012.